July 29, 2013  In Egypt, the military-backed interim government is moving to end protests by supporters of ousted President Mohammed Morsi. This follows a weekend police attack in Cairo on those supporters — the deadliest since the political crisis began. 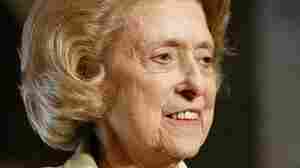 July 27, 2013  The former congresswoman from New Orleans and U.S. ambassador to the Vatican died Saturday morning. She was 97. NPR's Linda Wertheimer traces her life and accomplishments, along with her personal legacy. July 20, 2013  In his speech addressing the Trayvon Martin case, President Obama encouraged everyone to ask the question, "Am I wringing as much bias out of myself as I can?" Guest host Linda Wertheimer remembers the first time she caught herself having "terrible little thoughts," and worked to change them. Fireworks Celebrate Independence In Both Egypt And U.S.
July 6, 2013  Judging by pictures in the newspapers this week, you might think what happened in Egypt was oddly like our Fourth of July celebrations. Guest host Linda Wertheimer reflects on the importance of founding documents in light of the July 4th holiday and a coup that threw out Egypt's new constitution. July 1, 2013  Lawyer turned author Robert Rotenberg takes great pains to re-create the relatively calm atmosphere of Canadian courtrooms in his suspense novels. But not all of his characters play by the rules. "Well, they are murder mysteries," he says. June 14, 2013  The Obama administration has decided to provide more assistance to the Syrian opposition after officials became confident the Syrian regime was using chemical weapons against rebel forces. Are American Attitudes Toward Privacy Changing? June 13, 2013  The ongoing national debate over surveillance prompts us to take a closer look at the way Americans think about their privacy. Several scientific studies show that what Americans say they want in terms of privacy does not match the way they behave. June 11, 2013  The administration had been trying to appeal a judge's ruling to make the morning-after birth control pill available over the counter with no age restrictions. The Justice Department said it would obey the order — sort of. The FDA may soon approve the over-the-counter sale of Plan B One Step without a prescription. June 10, 2013  The Guardian newspaper says the insider who blew the whistle on the NSA's probing of major U.S. Internet and telecom companies is a 29-year-old analyst who's been working for the agency under a government contract. His name is Edward Snowden. June 7, 2013  Over the past two days, there have been revelations about the way the National Security Agency is gathering information for intelligence. While details of both programs are still coming out, the data collection practice appears to be legal. But it could be the beginning of something new in the intelligence community. And that is, the use of data to find patterns analysts might have missed. June 6, 2013  The National Security Agency is collecting the phone records of millions of Americans for three months. The news was first reported by the Guardian newspaper. The request for the records was placed with a special intelligence court days after the Boston bombings. June 5, 2013  The White House announced Wednesday that Tom Donilon is resigning as President Obama's national security adviser. 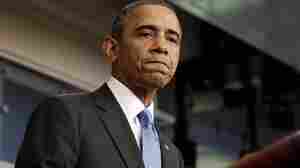 He will be replaced by Susan Rice, the current U.S. ambassador to the United Nations. June 3, 2013  It was another night of violent protests in Turkey. Police clashed with tens of thousands of protesters in Istanbul, Ankara and other cities, capping a weekend of unrest that has seen more than 1,000 people injured. The violence prompted the White House to issue a statement Sunday calling on Turkey's security forces to "exercise restraint." March 8, 2013  Heads of state including Cuba's Raul Castro and Iran's Mahmoud Ahmadinejad traveled to the city of Caracas to pay tribute to controversial Venezuelan leader Hugo Chavez at his state funeral.